If you are in the market for a new or used Forklift, know that it is very important to purchase the machine from a reputable supplier—such as Anderson Forklift—and to get to know that machine intimately before you use it as a tool to support your warehouse. Also, it is important regardless for how long you’ve had your Forklift—or your fleet of Forklifts—that you continue to inspect that machine daily before use, making the inspection part of a routine as regular and reliable as any other everyday task in the warehouse—and that you know the machines capabilities and the rules for safe Forklift operation. Every single day you should be checking, inspecting the Forklift for any damage, any signs of wear and tear, etc. First check the areas and components that you can check without the engine running. These checkpoints vary with each Forklift, but the universal components to be checked are: seatbelts, tires, horn, fluid levels, brakes, lights, etc. Then, when you have the easy stuff inspected and find it to be in proper condition, check the mechanical functions such as the moving parts and the load-supporting components. Training to win includes the above-mentioned routine of daily checkups, but it also means that your employees should be aware of the capabilities of the machines they operate; instruction can and should include both formal study—lessons that include both lectures and written material. 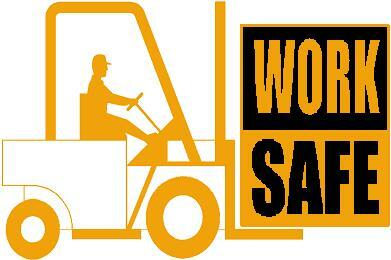 Employees should also be aware of the load-lifting capabilities of each machine. To train to know the warehouse itself, getting to know well each corner of the warehouse and the busy traffic areas; employees who work on foot in the warehouse should also be aware of the traffic concerns involving the operation of any machinery. How to ensure the load being transported via Forklift is stable and centered on the forks; off-centered loads can lead to catastrophic accidents. Basically, anything that involves the use of a Forklift should be involved in both training scenarios, lessons, and daily inspection. If you have any questions as to how a new or a quality used Forklift could help your business succeed, then call Anderson Forklift today.